A person who can read well is seldom met with now-a-days. The public reading of the Bible is oftentimes not worthy of it being called reading. There once lived a boy in the Highlands of Scotland who presumed to read a newspaper with a twang similar to that which characterised his reading of the Bible; but his grandmother boxed the youngster’s ears for presuming to read the paper in a holy way. Now, the Scriptures should be read in the best way possible–that is, naturally. I wonder how Spurgeon would assess the quality of the reading of Scripture in churches today? Churches that have the public reading of Scripture regularly in their worship services will often use a number of men within the church as readers. It is important that those who are reading in public have guidance on how to do it. They should be pointed in the direction of websites like Net Ministries that provide helpful pronunciation guides for Bible names. Churches I have been a part of have often advised making brief comments before the reading about the content about to be read. We have encouraged the men to remind us that we are reading the Word of God. One resource that I have found valuable for instruction along these lines is Stuart Olyott’s little pamphlet Reading the Bible and Praying in Public (Banner of Truth Trust, 2008 [WTS Books] [Amazon] [Banner of Truth]). 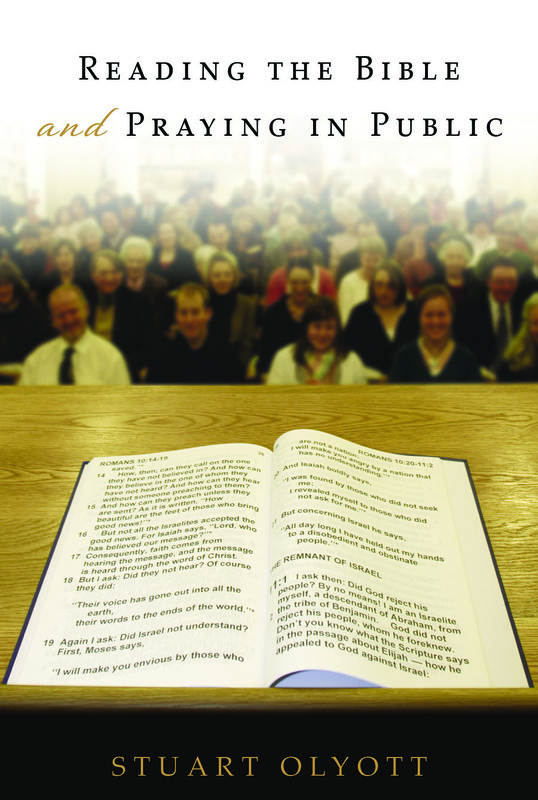 As the title indicates, Olyott also provides brief instructions for praying in public. He is not long; the pamphlet–including both sections–totals just 22 pages. For those who are pastors, I wonder what (in brief) advice do you (or would you) give to those who are responsible to read the Scriptures publicly in your services? Are there other published resources that you’d recommend? My personal practice is to read the Scriptures myself. I give somewhat of an introduction to the passage at hand, and will even raise something for the people to look for as I read the text. It is not always a text related to the sermon. We have systematically read through books of the Bible: Revelation and Hebrews, and are currently going through Philippians during the month of November to remind us of our need to rejoice in God. Public reading of Scripture ought not be an afterthought. If other men read, they should be familiar with the sentence structure, names, etc of the passage, and seek to read with understanding.